For several years now, “jazz” has become an increasingly misused term. If you look it up in a dictionary, or Google it, you’ll note that every definition includes words like improvisation, syncopation, rhythm, beat and other terms that describe an American art form dating back to the early 20th century. There are, many genres of jazz: Dixieland, straight-ahead, bop, modern and fusion, to name but a few, and they all have one thing in common: They swing. Otherwise, it isn’t jazz. To borrow the title of that famed 1931 Duke Ellington composition, It don’t mean a thing, if it ain’t got that swing. That doesn’t mean the music always has to roar; some of the most beautiful jazz heard is performed at balladic tempos. It also can be played at different time signatures — straight time, 2/4, 3/4 and so forth — because you can swing at any signature. Why this preface? Because far too much of the music being played — and marketed — these days claims to be jazz, but absolutely isn’t. Rest assured, though: Readers of this blog can be certain that everything discussed here is well and truly jazz. 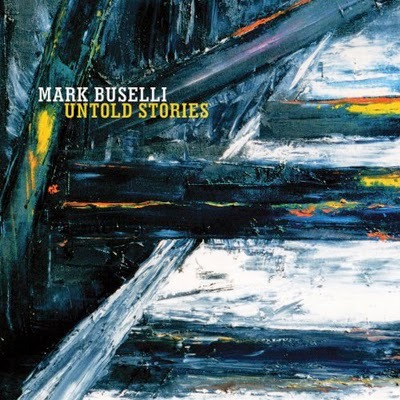 Untold Stories, presented by Mark Buselli and his quintet, is definitely jazz. The talented musicians — Buselli (trumpet) is joined by Danny Walsh (sax), Steve Allee (piano), Jeremy Allen (bass) and Steve Houghton (drums) — also are associated with universities and schools in teaching positions. The name artists with whom they’ve worked would cover an entire page; their experience includes both small and large groups in the jazz and classical fields, and they’re also prodigious composers and arrangers. Six of these seven tunes are originals by members of the group; Buselli did two, with four from Allee. The only neo-standard is the seldom-heard “Angelica,” which came from a session Ellington shared with John Coltrane. One of the charts — “Claude” — is done as a ballad; the rest are mid- to up-tempo tunes that make it impossible to keep your fingers and feet at rest. The rhythm section is as tight as they come, the result of these guys having played together over a period of years. The solo work is thoughtful and masterful.